Elysabeth, your illustrations are incredible! I love the ethereal quality of your style. 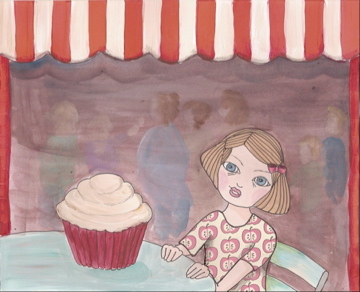 Dig the reflections in the back and the way the muffin dwarfs her.